Take a practice quiz and see if you’re ready for the ultimate consumer challenge. Gather your friends and form a team. Each team needs an adult sponsor or coach. Public, private, home, charter and alternative schools, statewide, are welcome to register as well as clubs and youth organizations. Schools may enter more than one coach and coaches may enter more than one team. So hurry and get your team signed up! Scores will be tabulated and the highest scoring teams will be invited to the in-person State Competition, which will be held in Honolulu on Saturday, February 9, 2019. The winning team at the State Competition will represent Hawaii at the National Competition on April 13-16, 2019 in Orlando, FL. Students in grades 6-8 will compete only online. National winners will be announced online after the competition closes. 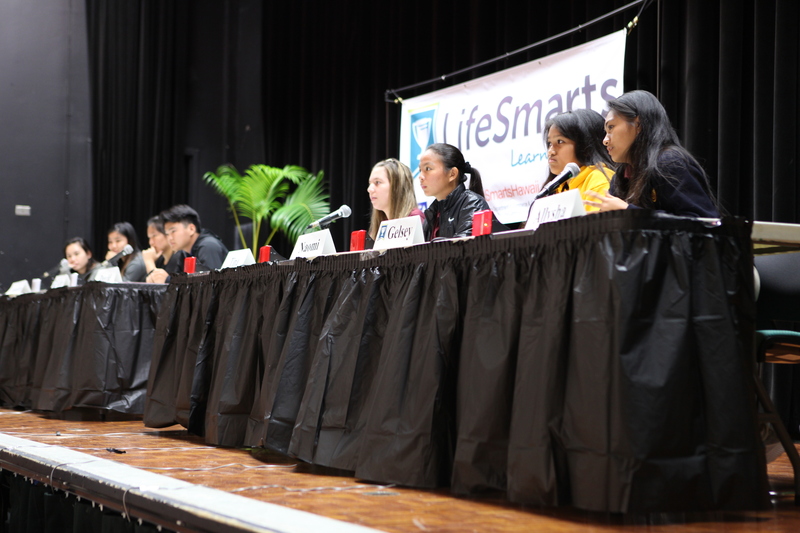 LifeSmarts is run by the National Consumers League and brought to you by the Department of Commerce and Consumer Affairs, Office of the Securities Commissioner in partnership with the Hawaii Credit Union League. Contact the LifeSmarts State Coordinator, Theresa Kong Kee at 587-7400 or tkongkee@dcca.hawaii.gov for more information. Good Luck as you take the Ultimate Consumer Challenge.